At K & L Printing, we realize how important it is to present top-quality materials to customers and prospects. We make sure you and your entire staff take pride in all of your company's printed materials, so you can make a great impression. 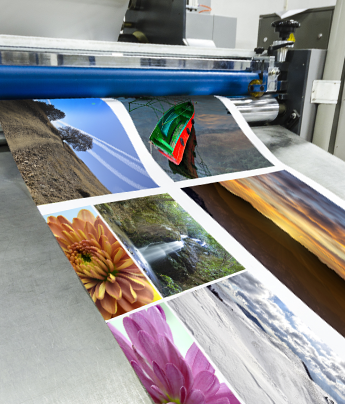 From state-of-the-art digital printing to offset printing for large orders, we provide a variety of services including letter press to create the perfect product for your needs. Contact us in Blue Springs, Missouri, to request a quote. Present your company in the best light with custom printing in Blue Springs, Missour, including professionally printed business cards, catalogs, letter press and other materials. We can use up to four different colors for your printed materials, giving them a more modern look. After printing your company's brochures or newsletters, we perform a few finishing touches to take them to the next level. K & L Printing also offers direct mailing services to make it easy and convenient to mail out your company's letters and other materials. From practical letterhead, brochures, invoices, and product catalogs, we can do it all and in a timely manner. For all your custom printing in Blue Springs, MO, make us your first choice. At K & L Printing, we understand the importance of branding in the business world. It’s accurate that you should never judge a book by its cover. However, people do judge your business by the quality of your printed materials. With the high-quality products we offer, your business can make a statement to your clients. Some of the most compelling digital marketing methods have not been able to match the power of the printed catalog. Even in the highly digital world we live in, people still like tangible things and the feel of the paper in their hands. We have the ability to make catalogs more creative by using a mix of products, photos, narratives, and other original content. This provides your customers with a unique way to connect with your brand on a sensory level. We take pride that our printing services can help you highlight your company’s benefits, services, and products for your customers. Our experienced and intuitive team can bring your vision to life in a unique way. By using different mediums such as cloth, leather, paper, and plastic, a wide variety of products that can be designed and printed to promote your business. We can take a simple idea and embellish it with colors, graphics, and your company logo to result in a breathtaking, eye-catching promotional item. Not only do people hold onto printed products longer, they also make them visible and sometimes pass them along to family and friends so one piece can potentially travel a long way for advertising. Our mission is to provide quality printing products to you consistently. From customized envelope printing to elaborate brochures and catalogs, we can handle it all. We won’t compromise on quality and we always offer fair and reasonable pricing to fit your budget needs. All of our work is done in-house and to your specifications. We feel that technology cannot replace experience and our shop brings over 30 years of experience to the table. We utilize state-of-the-art equipment so we can provide you with top-notch products. Reach out and let us tell you about the ways we can enhance your business. Contact us for all your printing needs. We proudly serve Blue Springs, MO and the surrounding area.